You knew it was coming. If you're in the dark about what I'm referring to, I recently shared some things I loved during pregnancy that made 9 long months go by smoothly, and last week, I shared what made life with a new baby even more rewarding! Here's a list of what we are loving right now in toddlerdom! Beckett loves animals. 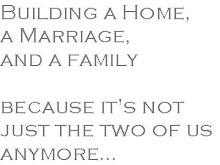 Especially dogs and puppies. 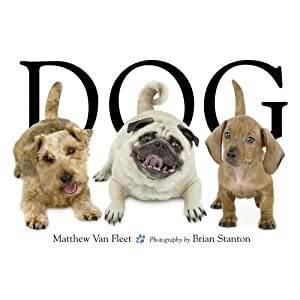 "Dog" by Matthew Van Fleet is a favorite at our house. 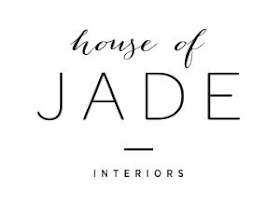 plenty of touch and feel pages! 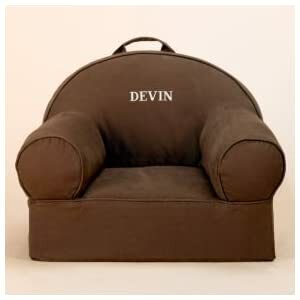 We all love the Land of Nod children's personalized chair. It's such a great size and easy to move anywhere in the house. I'm not kidding when I say he sits in it every.single.day! He loves puzzles and loves fitting shapes into different slots. 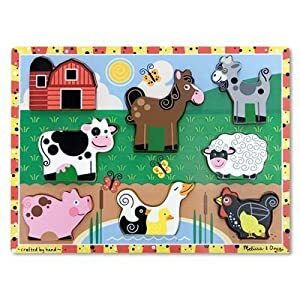 The Melissa and Doug wooden farm chunky puzzle is his favorite. 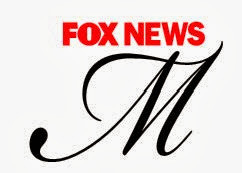 I LOVE the M&D brand! Most of the toys are wooden and retro, much like the toys I played with as a child. 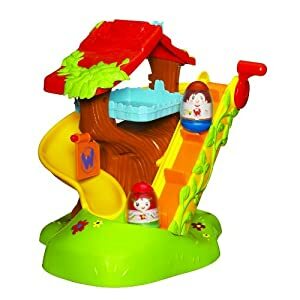 When the weebles get to the bottom of the slide, it plays a nice techo-sounding song! We made the switch to a big boy carseat MONTHS ago! He outgrew the infant carrier before I could blink. Britax has gotten some great reviews. 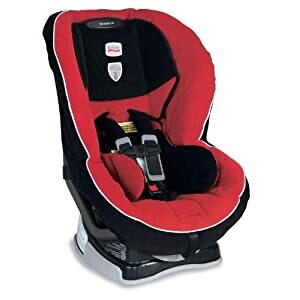 The Britax Marathon 70 car seat has a removable cover. Britax also has a line of Marathon covers that can be interchanged. 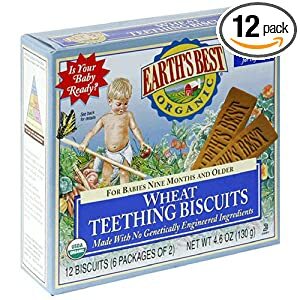 Earth's Best Teething Biscuits are sooooo great! Tired of goofy, irritating baby cds? 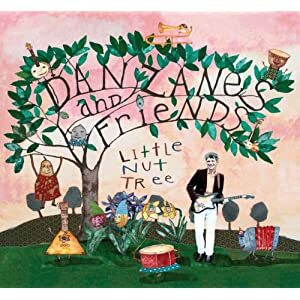 Try out Dan Zane and Friends Little Nut Tree . Some friends of ours gave Beckett this cd for Christmas and I love it. even have a bit of a Bluegrass feel.